Smart of you to realize that you should check for stolen goods when you’re buying consumer electronics through an unknown, untrusted third party. Craigslist and eBay are great services, but let’s be honest, there are both professional criminals and casual thieves who use it as a far better and more profitable sales channel than the local pawn shop. So it’s very much a case of buyer beware. Fortunately, every single smartphone in the world has a International Mobile Equipment Identity (IMEI) number, a unique ID number assigned to every modern smartphone sold. The IMEI is a 14-digit string that includes information on the origin, model, and serial number of the device and it’s what you want to ask for from the seller — and check — before you even consider meeting them to talk about purchase price. 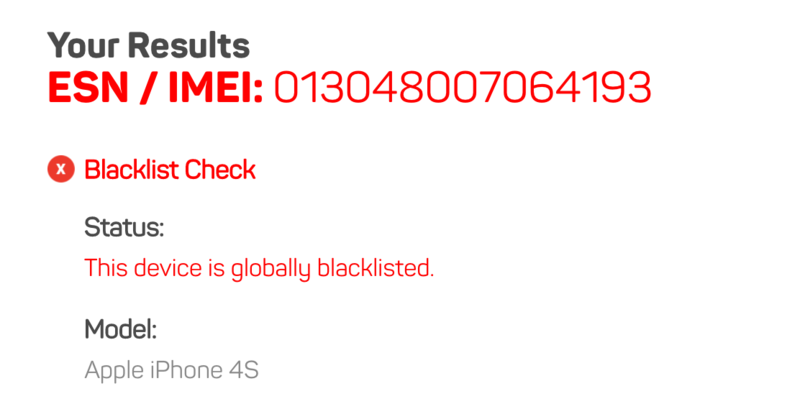 Armed with an IMEI you can easily look up to see if the phone’s on what’s known as the global blacklist, a database of lost and stolen smartphones. Most every major carrier has an online tool for this purpose, and there are third-party sites like smartphone marketplace Orchard Labs where you can check too. Why it’s so small on the iPhone I can’t explain, but there it is, my own iPhone 7’s IMEI (slightly tweaked for my privacy): 559152079771800. 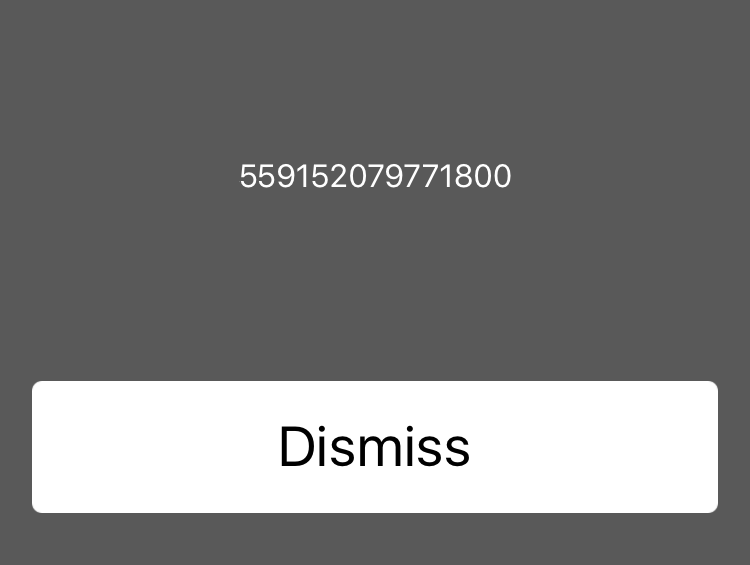 TIP: If a seller sends you the IMEI of a device via email or text message, it’s smart to use the * # 0 6 # sequence to confirm it matches the device your’e about to buy when you meet up. AT&T Wireless is typical of the carrier IMEI lookup services, with its relatively crude interface and rather inexplicable output. Its primary purpose is to confirm that a given phone can work on its network. That’s the lookup system’s clumsy way of saying “this phone is not compatible with our network” and if you use the lookup service from your own mobile provider (Verizon, T-Mobile, Sprint, etc) and get an error of this nature, the phone might be legit, but it’s not going to work on your network. In that case, you can “unlock” it or keep looking and find one that is compatible. 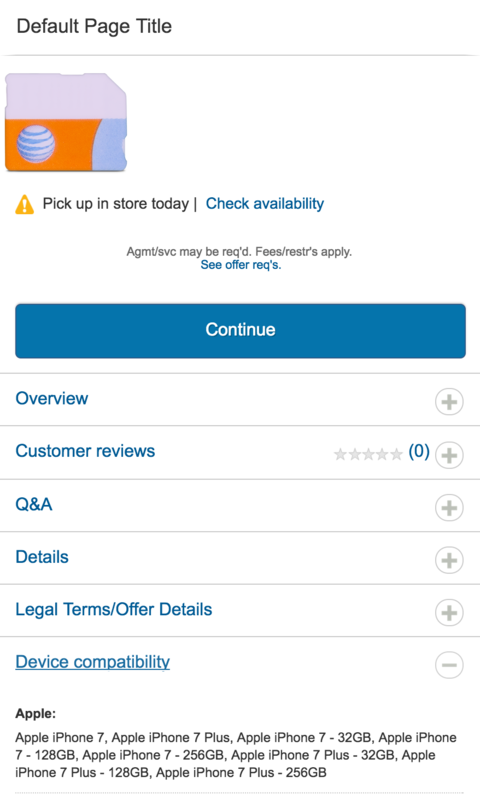 It’s like an unfinished corner of the AT&T web site, isn’t it? Still, it identified the IMEI, shows a simcard image and under “Device compatibility” correctly identifies it as an iPhone 7. That’s obviously super bad news and I wouldn’t go near not just this used iPhone but anything from this particular seller, even if they offered a better or newer deal. 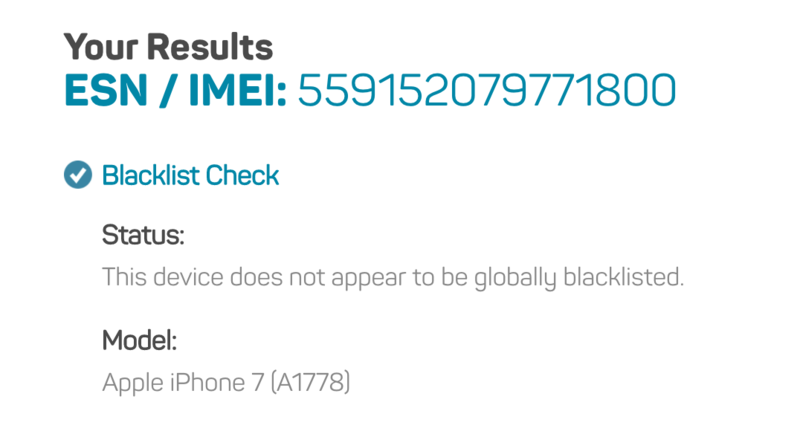 In fact because this particular IMEI is on the global blacklist even if you bought it your carrier won’t let you use it. Armed with that information and a second confirmation that it will work with your carrier, you can proceed with some level of safety. Disclosure: The Orchard Labs links are affiliate links. If you use their marketplace – which you should definitely check out before you risk a local transaction – then you’ll also help us keep the lights on at ADT HQ. Hi Dave, I tried the *#06# on my Samsung 6 and got the “this is Veriozon wireless. The number you dialed is not listed. Please check the number and dioal again” – – did the same and got the same. How do I run around Verizon here? That’s strange. On the Verizon Wireless site it says that the sequence * # 0 6 # should work. Can you not get to the IMEI from the Settings > About page on your iPhone?